Teacher Dude's Grill and BBQ: Welcome to Denmark - Now hand over your cash! 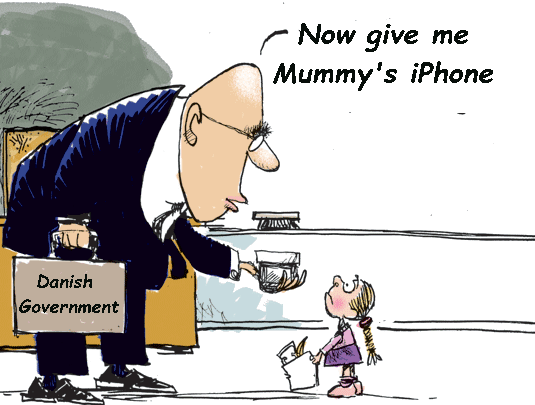 Welcome to Denmark - Now hand over your cash! Apparently, the Danish government is not at all happy with the international attention it has garnered in the wake of law that would allow the authorities to seize assets from those applying for asylum in order to pay for their stay, and this in one of the richest nations on Earth. The law also extends the the time period after which family members can join loved ones from one to three years. The Danish coalition government which includes the far right Venstre party has defended these measures saying that Danish citizens seeking help from the State are subject to the same regulations, however, as the more astute of you will have noticed, no Danes have been bombed out of their homes in Odense or have been forced to flee murderous death squads in Aarhus with just what they can carry.